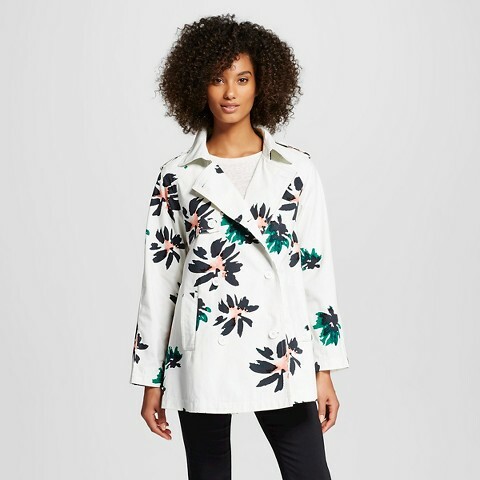 In case you missed the quiet second wave of Target's ongoing collaboration with the blog Who What Wear, I wanted to share the new arrivals since many of you didn't even know more pieces were already available. Some of my local stores put out a few pieces early, while others finally started showing up this week on display. 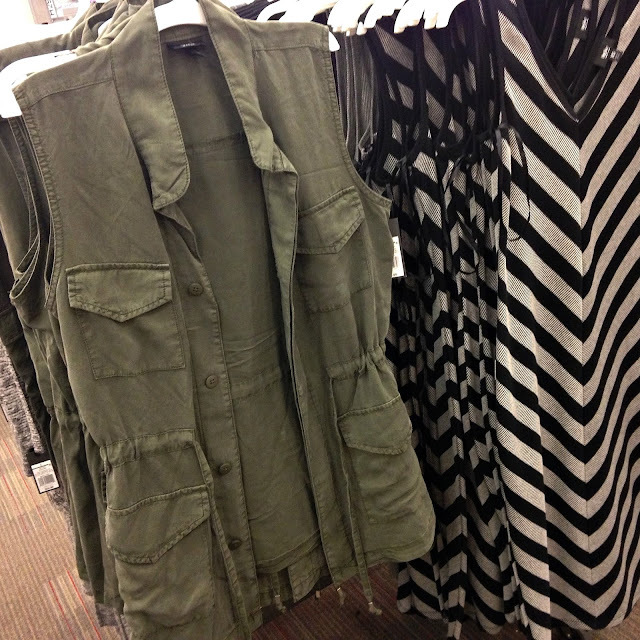 I already scooped up the striped dress and look forward to wearing it with the Mossimo vest I purchased last month. Love all the chic trendy styles with a very European vibe and the affordable price tags continue to impress me for the quality. Will you be adding any pieces to your wardrobe or purchased anything from this collection? So excited to see the New arrivals on display! Ruffle Dress looks pulled together styled with a belt. not sure if it will hold up for hours, but a good option if you want to wear it at work. While these sweaters were around in the first wave, grey and prink were added to the mix. I already own a few and might be adding one more, wear them to work or with jeans. My favorite part about this shirt is that it's made from lyocell, a good fabric that wears well. 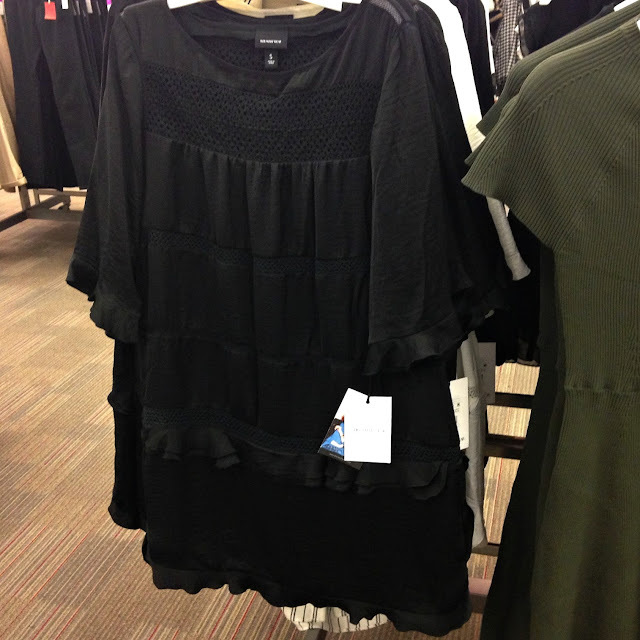 Unfortunately, this was an awkward fit on me, sort of maternity-ish, i.e. not flattering. I love a pretty lace top, this one reminds me of a Victorian-chic style. Most of these tops are also available in stripes too. if it looks cute on! shade to their B&W color palette, like grey or navy. This is a simple feminine tank, also available in pale pink online. This is another item on my shopping list, it's so cute! I probably would have purchased this if it was available in different color or print. I tried it on again in a smaller size and the armholes were still too big. The display at the second store was slightly different. I can't say enough about this vest, it goes with everything! Penny Pincher Fashion is wearing a similar vest over a lace dress in her post here. hopefully they will also be available in store soon. 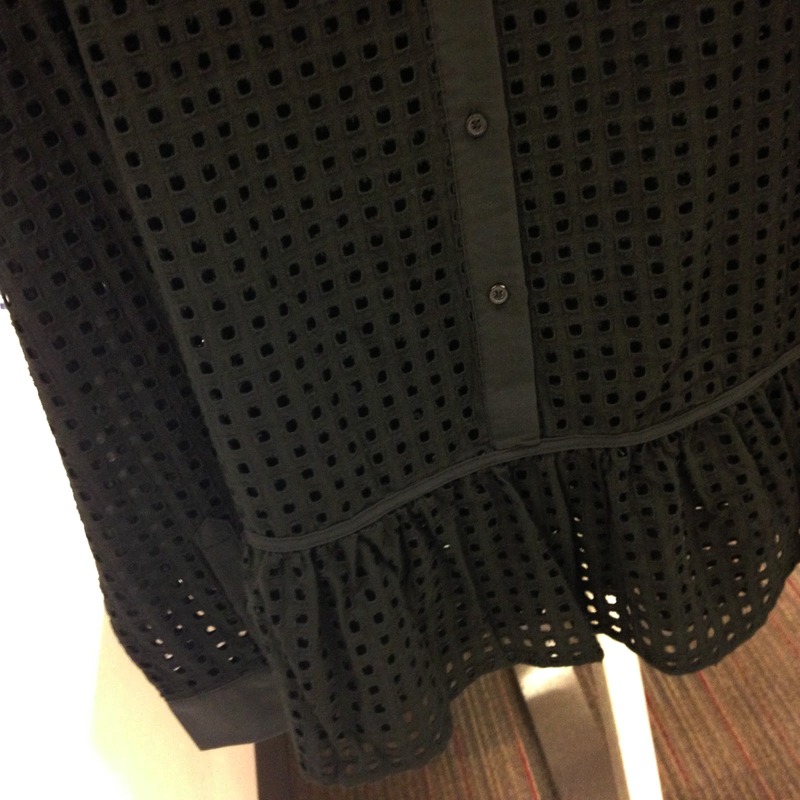 My store also didn't have this top, a long sleeve sheer looking shirt. (read more here), I'll be posting the Lookbook as soon as it becomes available! Sorry you didn't like anything, not sure if you'll love the next collab either, more of a bolder print/outdoor collection, not very designer-ish in terms of clothing, even though Marimekko is popular. Oh I'm so glad you posted these! I try to avoid the clothing section in Target (otherwise I just end up buying way too much stuff I didn't know I "needed" when I walked in there) so it was fun to browse without too much temptation to put stuff in my cart. So many cute, wearable pieces in this collection! Yes! Going into the clothing dept. 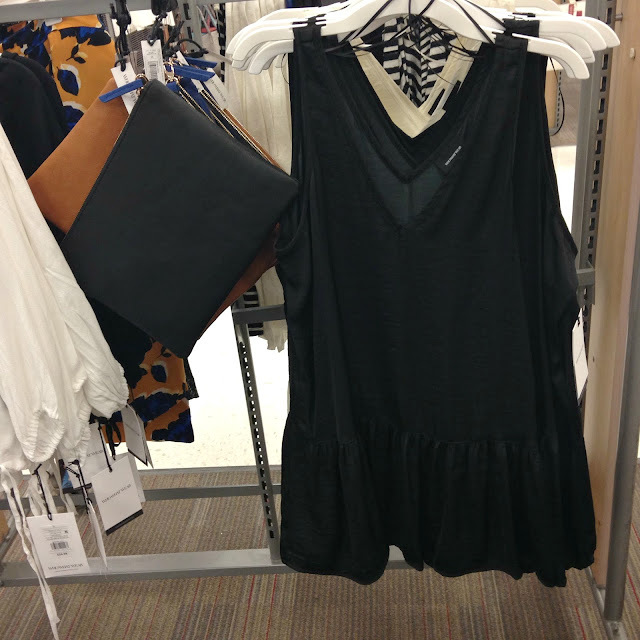 at Target is dangerous, you can load up a ton of stuff w/o even thinning about it! 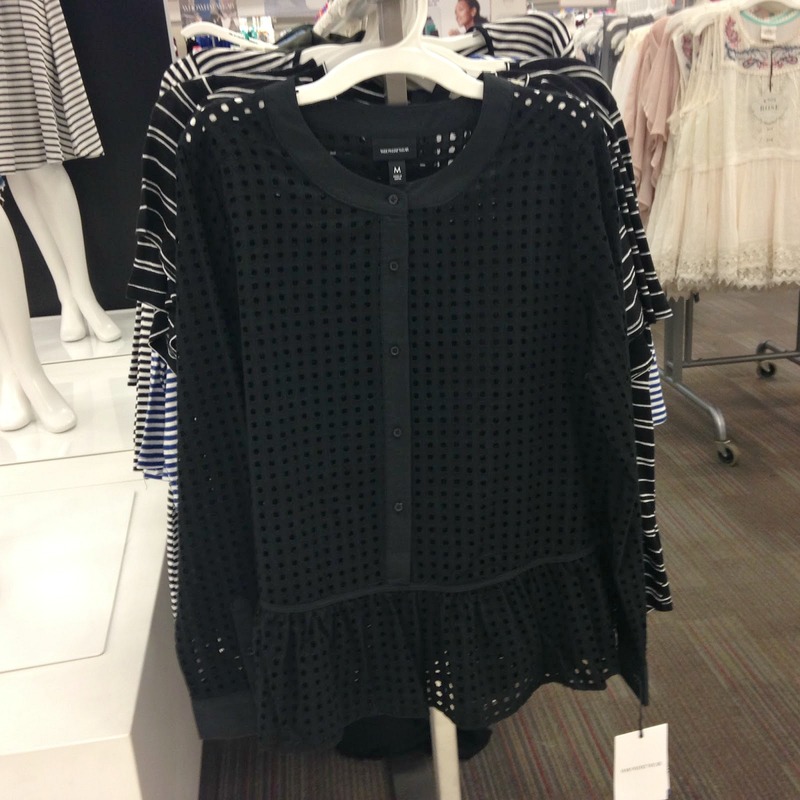 Some of these items reminded me of Express, the simple B&W style. You should check it out on your next Target trip! I am loving that striped off the shoulder dress, but not sure I have the physique to pull it off! I also like had they paired cognac belt with the black dress, super chic and simple! I am definitely going to be getting some these pieces. You could absolutely wear the stripe dress! It's really flattering, try it on next time, I bet you'll love it, the belted look was so cute! I'm really loving quite a few of these pieces. I think it's the pretty patterns and colour palate that gives this collection and edge over some of the other collabs from past seasons. Agree that the patterns/colors give it an edge, it's nice to have a few pieces that are super wearable on an everyday basis from a designer collab! Marimekko for Target Lookbook is Here! !